It cannot be denied that there are many plus points to social networking sites, such as Facebook and Twitter, in terms of keeping up with breaking news and results in sporting events, yet, what is not an advantage about such sites are the ignorant, narrow-minded comments flippantly thrown about in reference to sportsmen and women. This has come to my attention particularly during this year’s Wimbledon, in which Britain’s number one, Andy Murray, and, former Women’s number one, Serena Williams, have found themselves placed directly in the firing line. As I write this, Murray has just beaten Jo-Wilfried Tsonga in four sets to become the first male British finalist in Wimbledon since 1938; you would think the majority response to this historic achievement would be one of patriotism and praise, however, ashamedly there are too many British people gunning for Murray to lose. The hatred for Murray has been thriving ever since his throw-away comment about not wanting the England football team to win the 2006 World Cup, which was, as usual, hijacked and taken out of context by the tabloid media for the sake of a few divisive headlines. Although, so what if Murray didn’t want England to win?! It can be guaranteed that the majority of Englishmen relish in the failure of Scottish football, both on a domestic and national level. This can be seen quite clearly in the relenting snipes and jibes from south of the border at Scotland’s failure to reach the finals of an international tournament since 1998. In the Untied Kingdom, football, with the exception of team GB in the up and coming London Olympics, has always been divided by country. Whereas, when Andy Murray takes to the court, he is representing Great Britain, therefore it is a crying shame that a British sportsman reaching such a quintessentially British sporting final not be met with unrelenting and overwhelming celebration and compliment; instead he is scorned for being the stereotypical ‘dour faced Scotsman’. Isn’t it about time the tiresome and backward cliché of ‘British when he wins, Scottish when he loses’ be dropped for some genuine patriotism and unconditional support for once. 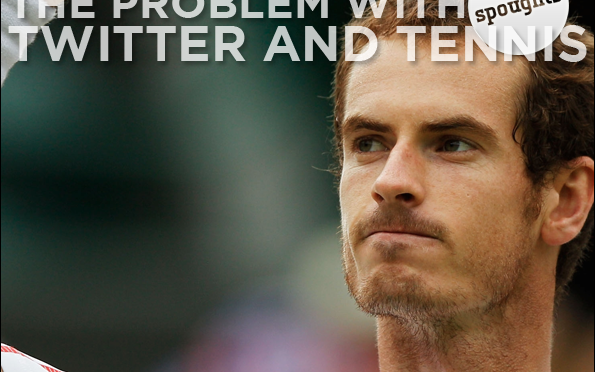 His reluctance to crack a smile has always been a main critique for the Murray-hating bandwagon, and, yes, admittedly, it would be a more pleasant if he had a more jovial demeanour, but does it really matter?! We have Rafael Nadal and Roger Federer, who as two of the current biggest names in male tennis, have become major sporting personalities that have to some extent gained more British-based support than Andy Murray has. Nadal has flaunted his six-pack in a music video with Columbian songstress Shakira, while Federer has featured in many advertising campaigns for Lindt chocolate, Gillette and Nike to name just a few. They have both capitalised on their place in the sporting world and turned themselves into commercialised brands and celebrities. 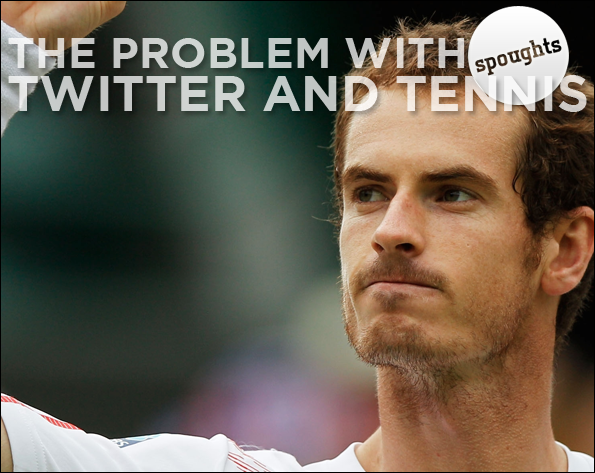 Murray is not as well liked as his two fellow sportsmen for his relative dullness and monotony, but I argue there should be due credit for Murray for keeping himself to himself, and not milking his name and position for everything its worth. In the current commercial climate, everything is about money, power and celebrity status, even in sport, yet Murray just wants to be judged for his sporting talent, so, as obvious and simple as this may sound, can we not just keep sport to being about sport. Now, let us turn to Serena Williams, who has come under a constant barrage of abuse for her physique and aggressive demeanour. Comments about Serena Williams as being overly masculine are incredibly disparaging, and, similar to the criticism aimed at Andy Murray, are completely irrelevant and antagonistic to the very essence of the sport. She is a formidable female sportswoman who has trained back to the pinnacle of her game, so, why instead do I have to see so many offensive tweets about her appearance, and not her incredible power? Tellingly, Anna Kournikova, was one of the most well- known female tennis players, despite never winning a single WTA title. It doesn’t take a genius to work out that she was so well-known and liked for her girl-next-door demeanour and blonde, blue-eyed good looks. In contrast, Serena Williams, who has a staggering twenty-seven Grand Slam titles to her name, is more famous for the negative press she receives, rather than her dominance in the game. Quite ironically, the established bad boy of tennis, John McEnroe, who has even used his well-known bad temper for commercial gain in an advertisement for car company Seat Altea, has criticised Serena Williams for lack of respect and humility. Granted, Williams could be more humble in victory, but the criticism she receives is not balanced or fair especially when we see so many aggressive male players, such as the Russian Marat Safin, being praised for being ‘not just a contender but a champion’ by, funnily enough, McEnroe himself. Why should Williams be stigmatised for not being what some males want the typical female to be: mellow and mild. If both Williams and Murray win their respective finals this weekend, I really do hope I have to see less of the insular and blinkered views that I have been seeing recently when I login to Twitter and Facebook. They should be applauded for their success and sheer skill rather than unfairly judged on aspects of themselves outside of what matters: their sporting talent.